The William Blake Archive is pleased to announce the publication of electronic editions of Songs of Innocence Copy G, from the Yale Center for British Art, and Songs of Innocence and of Experience Copy N, from the Huntington Library and Art Gallery. Innocence Copy G was printed with fifteen others in the book’s first printing in 1789. Four of these copies were later joined with Experience impressions, printed in 1794, to form Songs of Innocence and of Experience Copies B, C, E, which are in the Archive, and D. Copy G also joins Innocence Copies B and U and will be joined in the coming years by eleven more separately printed copies of Innocence that are currently in production. Unlike many of these early copies of Innocence, Copy G still consists of all 31 plates originally composed and executed for Innocence. The plates were printed in yellow ochre ink on 17 leaves and wiped of their plate borders; the designs were very lightly washed in watercolors and the texts left unwashed. These borderless designs, printed on both sides of the leaves to create facing pages, look more like illuminated manuscripts than prints or paintings. 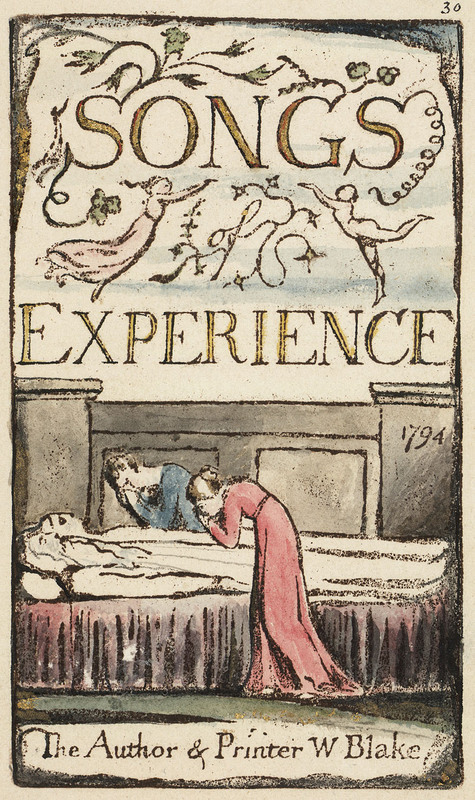 This mode of presentation exemplifies Blake’s early printing and coloring style. 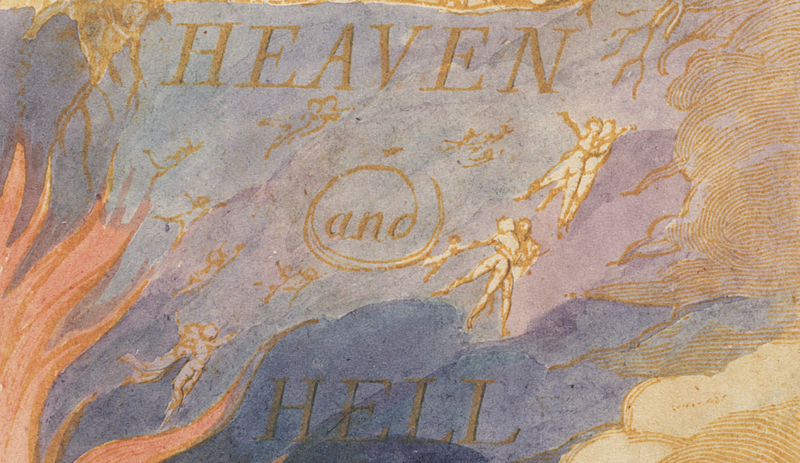 Using the Archive’s Compare feature, which enables users to juxtapose impressions from the same illuminated plate printed in different periods, users of the Archive can contrast this early style to Blake’s late style, c. 1818-1827. For example, in Songs of Innocence and of Experience Copies V, Y, Z, and AA, which are in the Archive, Blake printed and finished the impressions to look like miniature paintings. 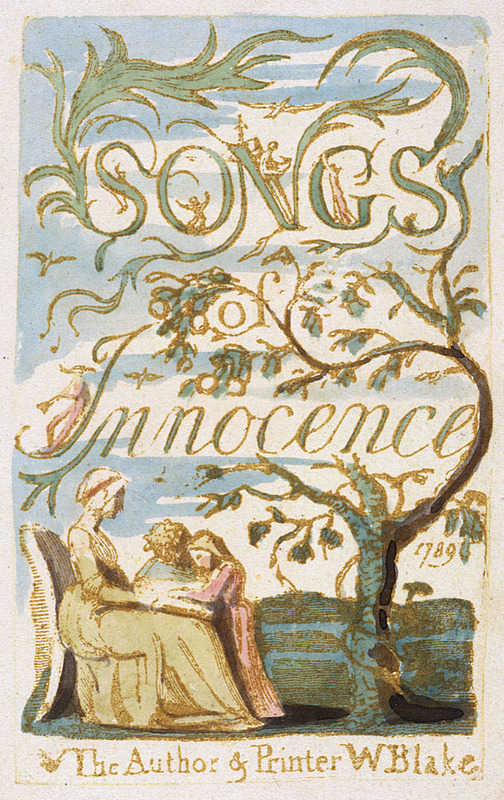 After 1794, the printing history of Innocence becomes complex because Blake began printing it with Experience to form copies of the combined Songs while continuing also to issue Songs of Innocence and Songs of Experience separately. Complicating matters further are the facts that some separately issued copies of Innocence were combined with Experience by collectors and dealers, and that copies of Innocence now separate were once part of copies of the combined Songs. Copy N of Songs of Innocence and of Experience contains 25 plates, all from Songs of Experience. These are numbered by Blake 30 to 54, thus indicating that the copy once included Songs of Innocence. This may have been what is now called Copy W of Songs of Innocence, untraced since 1941. The Experience impressions of Songs Copy N were printed with plate borders in brownish-black ink on one side of the leaf and finished in water color washes and pen and ink outlining. 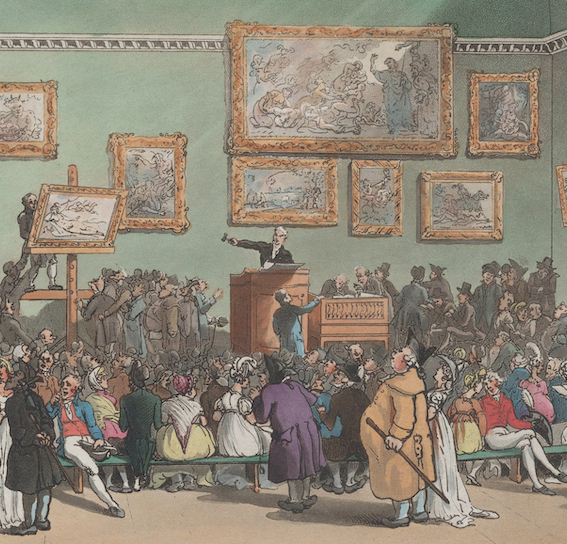 This is an intermediate printing and coloring style, between the earliest styles as represented by Innocence Copy G and the color printed works of 1794 and late style, c. 1818-1827. Like all the illuminated books in the Archive, the texts and images of Innocence Copy G and Experience of Songs Copy N are fully searchable and are supported by our Virtual Lightbox and ImageSizer applications. In addition to the Archive’s Compare feature, users can use the Lightbox to juxtapose and examine images from any of the works in the Archive side by side, as well as crop, zoom, and juxtapose them for close study. New protocols for transcriptions, which produce improved accuracy and fuller documentation in editors’ notes, have been applied to Innocence Copy G and Experience of Songs Copy N and to all the Innocence and Songs texts previously published. With the publication of these two copies, the Archive now contains fully searchable and scalable electronic editions of 83 copies of Blake’s nineteen illuminated books in the context of full bibliographic information about each work, careful diplomatic transcriptions of all texts, detailed descriptions of all images, and extensive bibliographies. In addition to illuminated books, the Archive contains many important manuscripts and series of engravings, color printed drawings, tempera paintings, and water color drawings.